1 can black beans, drained (makes 8 small enchiladas which feeds the 4 of us, but double if you need to) OR even better, use home cooked beans of equivalent amount. If buying canned, buy non BPA canned goods if possible. The BPA plastic coating in cans can be toxic. Another reason to use the bag of beans and cook them at home. coconut oil, butter, or olive oil to sautee beans and greens in. Do not use highly processed vegetable oils like canola or corn oil, both of which are GMO. 6-8 soft shells, I use Trader Joes corn shells that only have 2 ingredients and are GMO-free according to store policy. 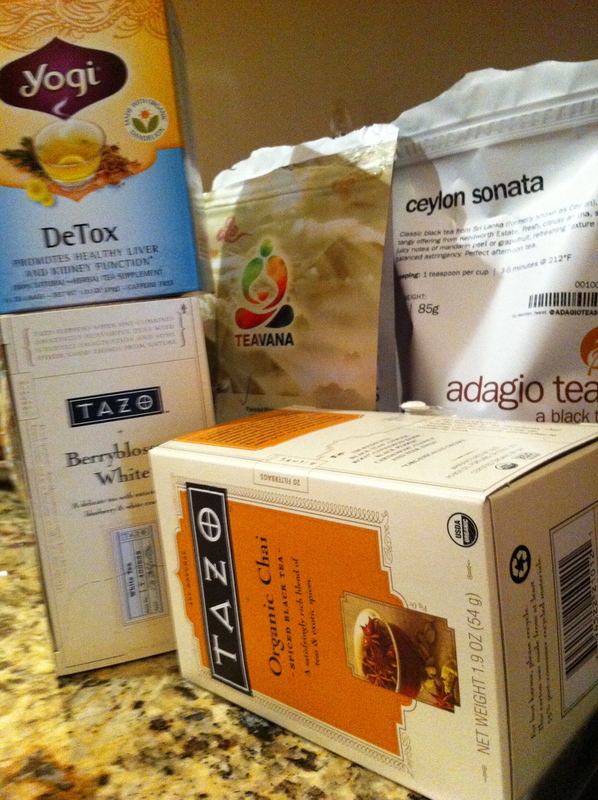 Or use another healthy (very few ingredients, real food type shell) that are usually only found in health food stores. Or try a homemade shells recipe and make your own grainfree shells! 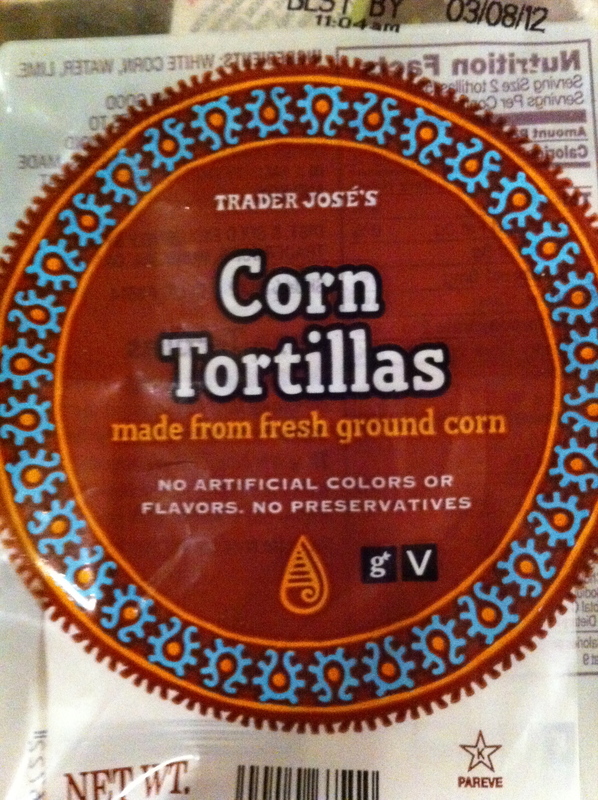 Do NOT use shelf stable flour (aka “frankenwheat”) tortillas that have a paragraph of ingredients and preservatives. Gross! Wheat is never really recommended on this blog, but if you have to, then use the traditional foods version of soaked and sprouted wheat. You can even find those in the freezer section of the health food stores (Food For Life brand, that makes Ezekiel bread). 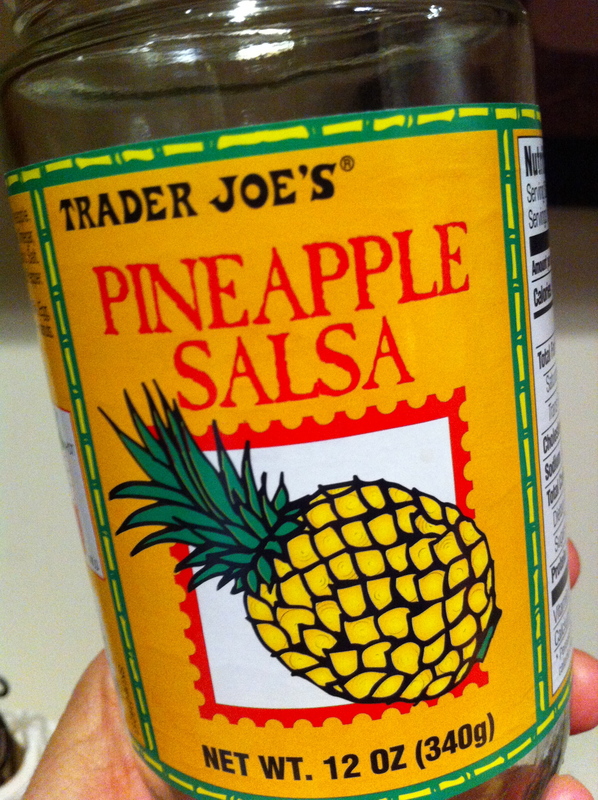 1 jar salsa, I use Trader Joes Pineapple salsa because we love that hint of sweet from the pinapple in there!! It’s perfect in this recipe with all the other veggies. I think it’s actually the KEY to awesomeness in this recipe. Cheddar cheese, preferably raw milk cheddar that is white, not fake colored orange cheese. Another good alternative if you can’t find raw or grassfed (at Trader Joes) is an organic white cheddar, or even a Cabot brand, because it’s hormone free and it’s white (not colored orange) and they have a range of sharpness available. Again, I’m gonna leave the amount up to you, but I use enough to totally cover my shells before baking! I always buy a block of cheese, and grate it myself because of the additives in bagged cheese. Read the ingredients list! options: mushrooms (I rarely add), fresh cilantro (I always add), green onions (I usually add), peppers (I never add), hot sauce on top, avocado and tomatoes and sour cream on top! 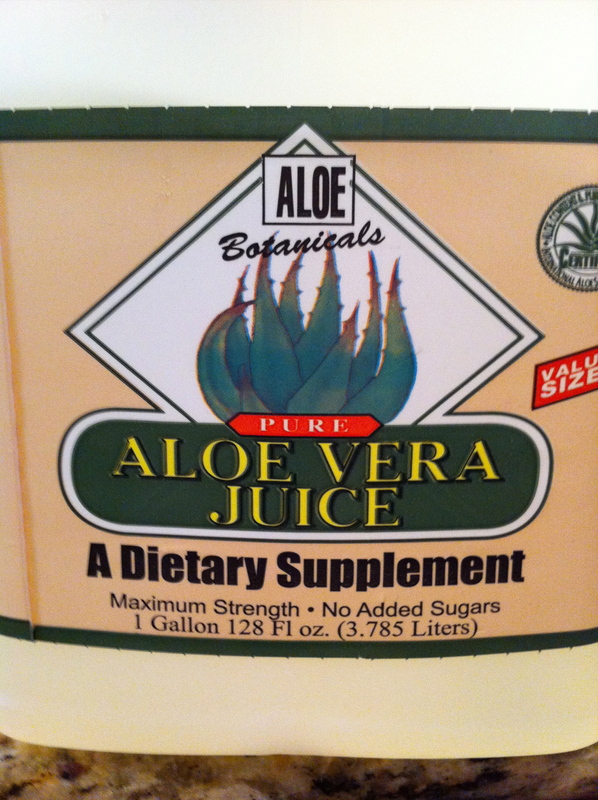 You could also put this on a bed of lettuce or other raw greens if you need even more greens in your diet! Skin and chop and heat the sweet potato because you’re going to mash it. Options: boil the potato chunks, or lay pieces on a baking sheet and put in oven (you’re preheating to 350 anyway), while you’re doing everything else. Either way you heat it, mash it after it’s heated. In a large frying pan (please don’t use non-stick pans) heat the oil, beans, garlic, seasoning, and greens on medium (and any options you’re adding, but save some cilantro for toppings if you’re using it in this). Cook until greens get wilted because they will cook further in next step. In your glass or ceramic baking dish, pour some salas verde (green sauce) in the bottom and then start making your enchiladas: shell in hand, add mashed sweet potatoes down middle of shell. Add about 2 Tbs of the beans/greens mixture from the frying pan. Top with about a Tbs of salsa. Roll shell and put seam down into the salsa verde covered dish, one right next to the other. When you are finished with rolling the shells for that dish, cover each one with more salsa (or salsa verde if you rather), then top with cheese and fresh cilantro and bake until cheese looks done, maybe 20 mins. We top with avocado, tomatoes, and sour cream or plain yogurt and the rest of the fresh cilantro! Ole! I promise this gets easier and quicker after you try it once! Some ideas for making this as quick as possible: consider putting the bean/green mixure and potatoes in the crock pot on low, then add that mixture to shells and bake after you get home. Let me know if you try that, and it actually works!! You could always do your sweet potatoes and your bean/greens mixture the night before, and store it until you’re ready to make these. They’re going in the oven anyway, so it shouldn’t matter that it’s cold when you assemble them. I’m always looking for easier ways to make dinners, so if you figure out a tip here, please let us know! Keep this recipe in mind during CSA vegetable season (at least here in NC), because it’s a great way to use kale and sweet potatoes from your CSA box! Also, I think it would be easy to add ground beef or chicken or turkey (pastured/clean/organic meats) to this if you want to! Fannetastic Food blog was the original inspiration for this recipe. This was one of my first attempts at taking a “regular” recipe and making it Organic Eater approved. And si, it was wildly successful! Ole! 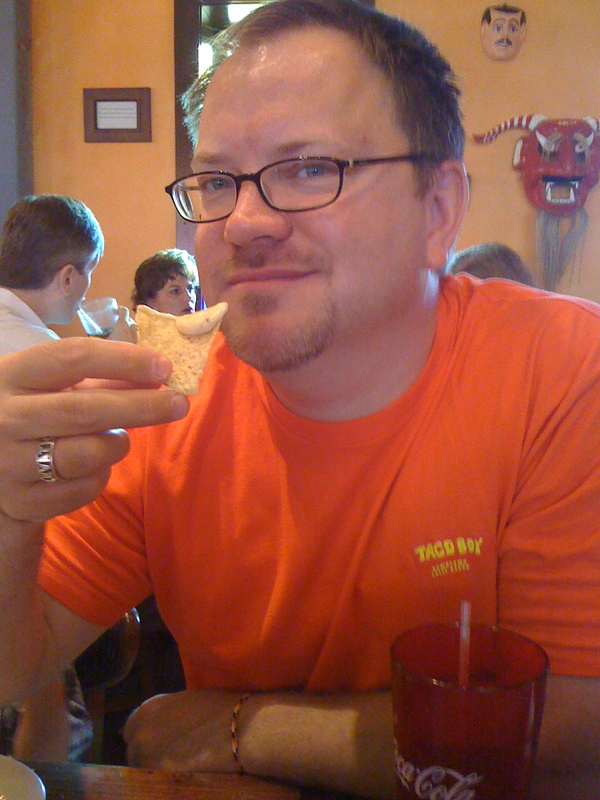 My family is crizazy about Mexican, to the point that Hubs has been nicknamed “Taco” by those who know him best. See picture below. We love chips & salsa so much, we take pictures of it when we eat out. Sad but true. Cutting out chips and taco shells has been the hardest part of cutting grains from our diet, but we’re finding ways to substitute or cut back. 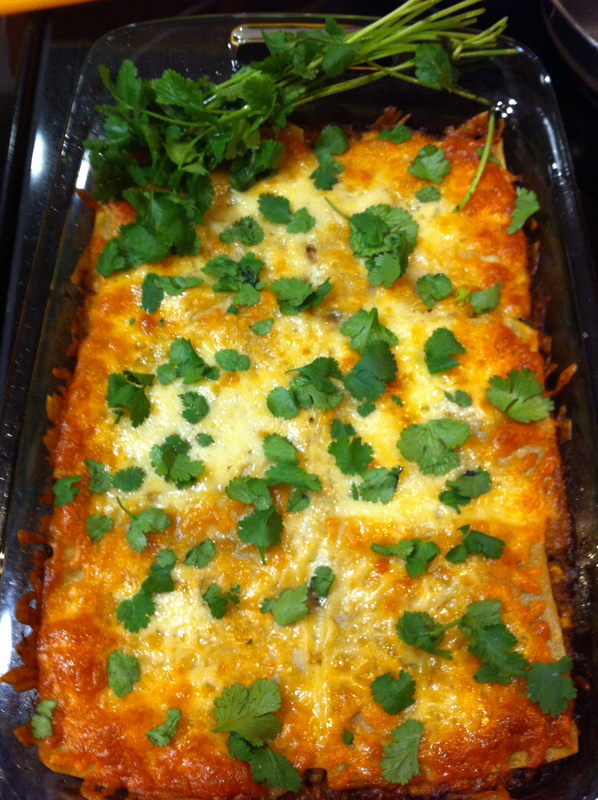 Here is the link to the original recipe called “Cheesy Enchilada Casserole” at GetOffYourButtandBake. Yep, that’s the website’s real name! I suggest going there to print the original, then use my notes on how to make it OE approved. And btw, it was voted #1 Casserole at Taste of Home, so you know it’s gonna freakin rock! I used the Pineapple Salsa from Trader Joes (if you are on Advanced plan diet, the pineapple makes this off limits to you) but you can make your own salsa in the blender. I had time restraints or I would have. 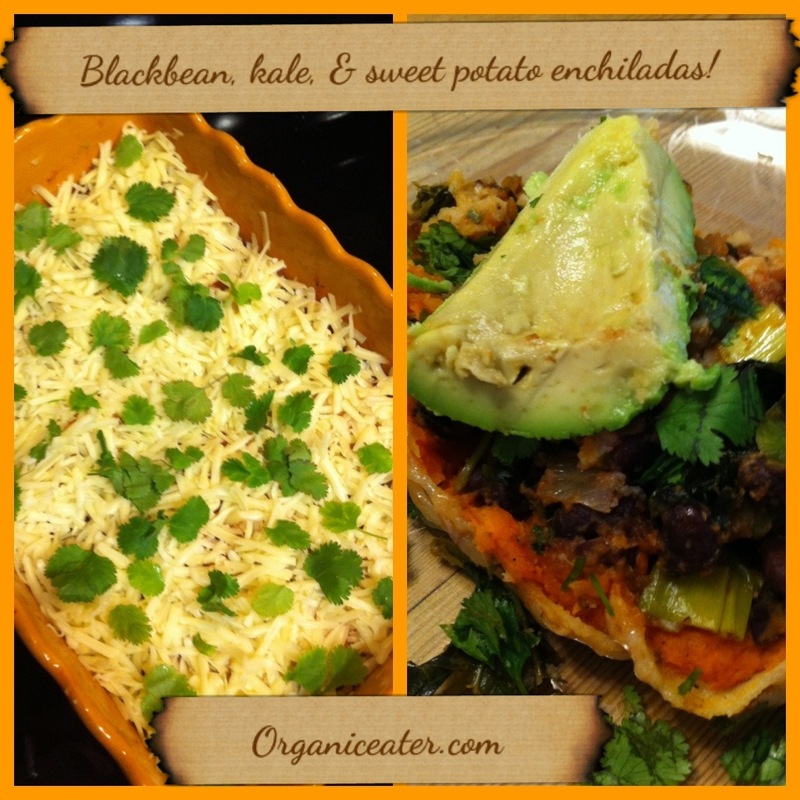 I used fresh cooked (from dried beans) black beans. I try to use as few canned goods as possible since the lining is coated with BPA (except for a few brands like Eden Organics). I could not find an acceptable organic Italian Dressing when I was shopping, so I just added olive oil, crushed garlic, and italian seasonings. 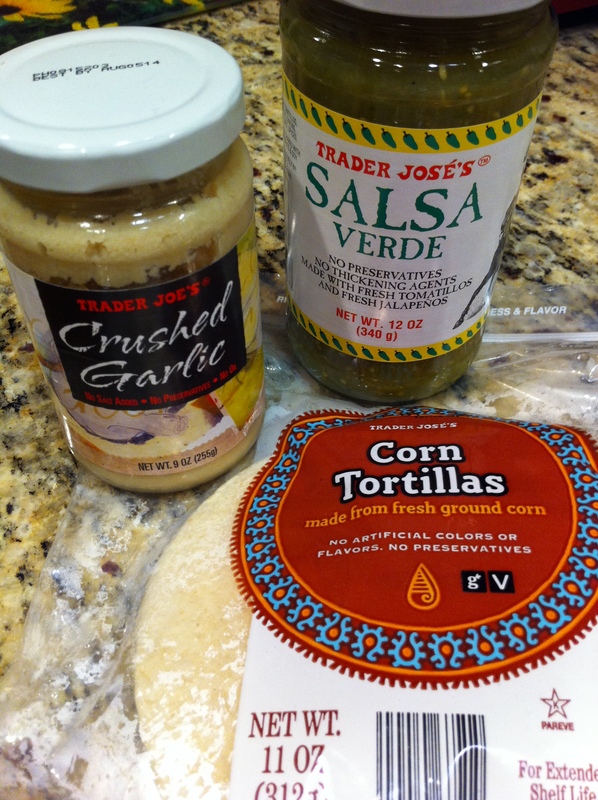 I used Trader Joes taco seasoning, but there are lots of homemade taco seasoning recipes that may be even healthier. I used frozen organic corn instead of canned. You can delete this to comply with Advanced Plan. I used plain whole fat organic yogurt instead of organic sour cream (only because that’s what I had on hand) Delicious substitute! 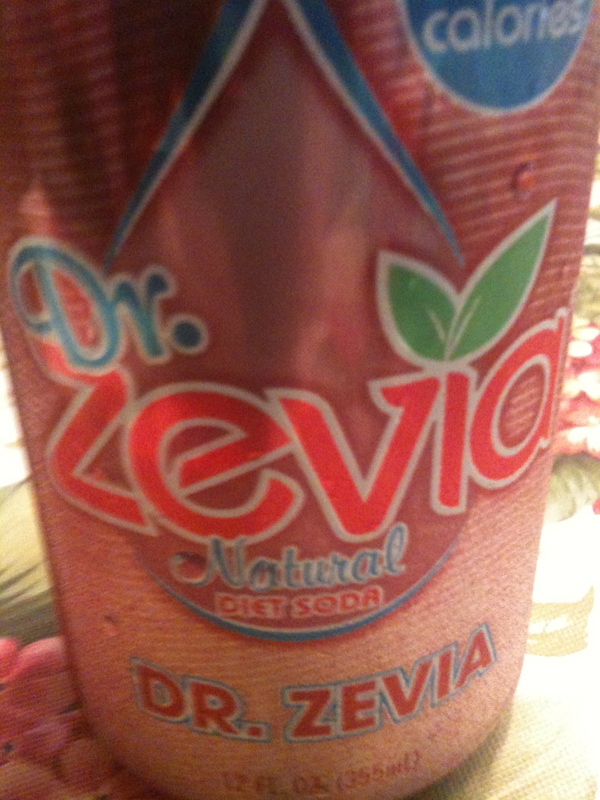 And hopefully it added some probiotics, which would be awesome. I used raw milk cheddar cheese from Trader Joes, but if you cannot find raw, you could at least use no hormone cheese. Cabot, found at most groceries, is my go to brand when I cannot buy organic. Do not buy the bagged cheese that has added ingredients to keep it from caking. Buy the block of white (no orange color added) cheddar and grate it yourself. I added fresh cilantro to the meat mixture and added more on top when the casserole came out of the oven. Benefits of cilantro. It’s amazing! We add plenty of it to every Mexican dish we make now! I used a 3Qt rectangular glass Pyrex dish because I didn’t want lots of “layers” of corn shells. I ended up with 2 layers of shells this way, which made it acceptable, but don’t go crazy eating seconds and thirds…. you know you’re gonna wanna, it’s that good! I think you could easily get away with only 1 layer of shells, which I will try next time. Lastly, “Taco”, I mean Hubs, likes his cheese a little crunchy on the edges, so I did NOT cover with tin foil until the last 10-15 mins of baking. And we used yogurt as the sour cream on top of the lettuce and tomatoes added at the end. 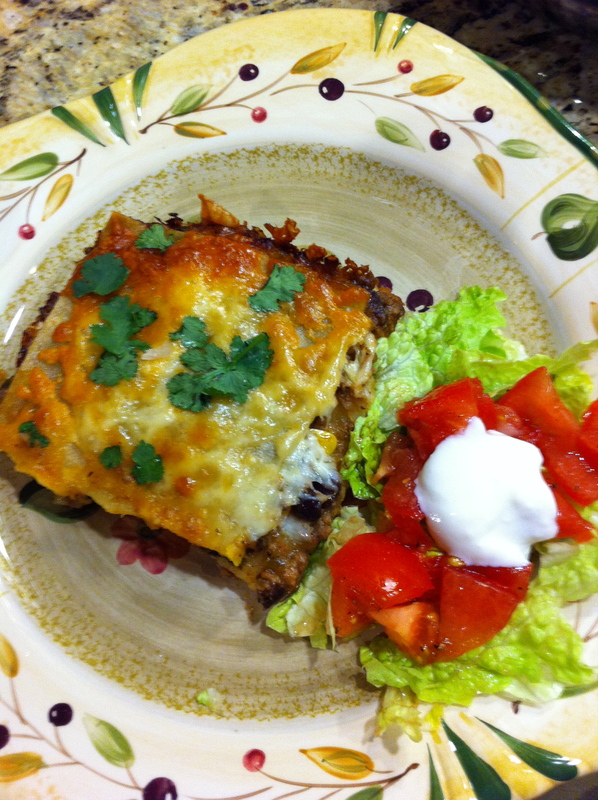 copyrith 2012 organiceater.com Mexican Lasagna topped with cilantro, aka OMG, Organic Mexican Goodness! I did as the original recipe suggested, and cut my shells into squares, and fried the cut off edges in coconut oil and topped with a sugar substitute and cinnamon. Yummy! 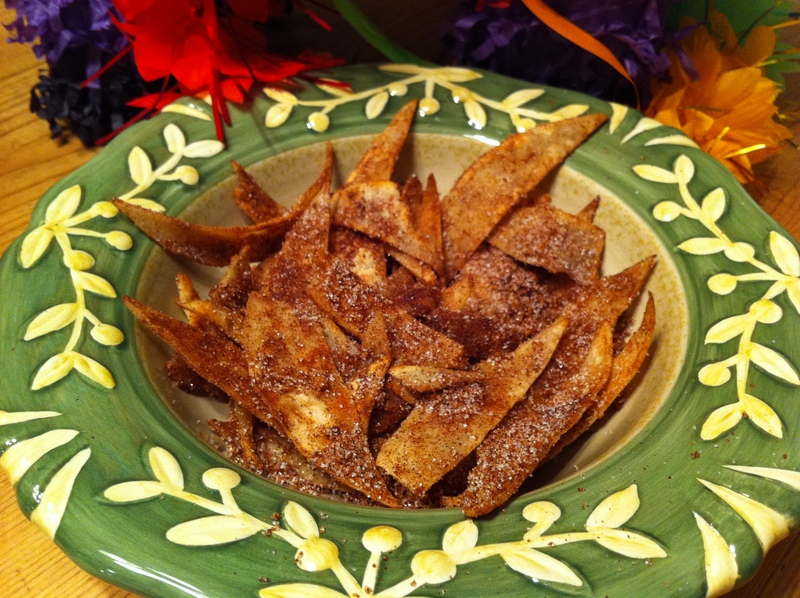 copyright 2012 organiceater.com Cinnamon sugar fried "chips"
KEEP IN MIND this is not grain-free food unless you make it with coconut flour tortillas and delete the corn in the meat mixture. I considered this a “treat” meal on the weekend, so I left the corn in mine (80/20 rule). Go HEAVY on the organic lettuce and tomatoes on top, and go lighter on the serving of casserole underneath. Or, ditch the shells and put the meat mixture on a salad. It was absolutely delicious before I ever put it in the dish with the shells. The original also suggested crushing msg covered, fake orange-colored Doritos on this. Good grief. I implore you not to do that! :) Please don’t tell me if you do. Enjoy my amigos!! You can thank me later, go make this!!!! Remember you can always cut my commentary and print just the necessary items using the “Print Friendly” button. I know this is an extra long one, so cut the fluff. Who wants 20 page recipes anyway?! not me! Here’s a super quick and easy way to make home-made kettle popcorn (link is at bottom of post), from Angela at the Home Cooked Healthy blog. I tried it this past weekend, with rave reviews from everyone in my family. She uses grape seed oil, which tastes great, and according to Maximized Living, is a healthy oil with a high smoke point, but occasionally I see mixed reviews on the health benefits. I absolutely love using it, so I have not made a definite decision yet. Coconut oil, from what I have found, gets amazing reviews from everyone who cooks with oil and who knows anything about truly healthy fats. 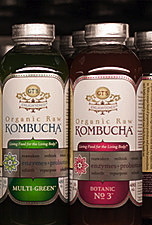 The only down side is a slight coconut taste in some foods, which many do not consider a “down side” at all. The other plus for me is that I can grab ORGANIC coconut oil from Trader Joes, but I do not think their grape seed oil is organic. You decide what’s best for your family, but see the link on bad oils below and do not use those! You can also make this popcorn without the ingredients that flavor it like kettle corn, and just have it plain with a little sea salt. OH my. SO good. Be warned: once you move to stove top popcorn with grape seed or coconut oil (if you don’t know the billions of benefits, you must click that coconut oil link now and be amazed), you will never feel the same way about that nasty bagged stuff you used to put in the microwave. And you know the inside of the bag is lined with plastic, right?! Not a good idea for the microwave. A big bag of organic popcorn seeds is about a $1.50 at Trader Joes. Organic coconut oil is $6 there, and you get a zillion more servings than a box of 6 microwave bags. OK, maybe not quite a zillion, but a LOT. Organic is not always more expensive, y’all. 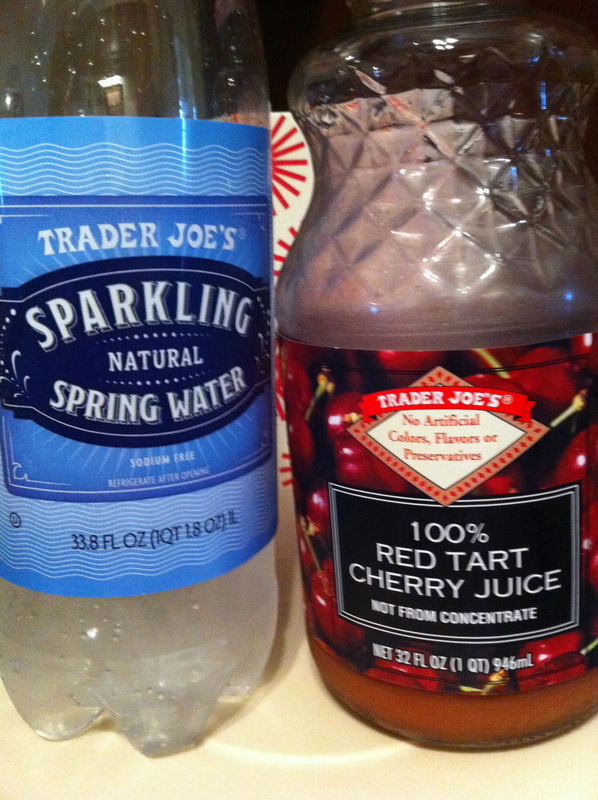 And I’m sorry if you don’t have access to a Trader Joes near you. My local grocery (Harris Teeter) has organic seeds in their store brand; hope you can find something similar. And do NOT use these oils, but stick with the healthiest choices for high heat, extra virgin organic coconut oil or grape seed oil. 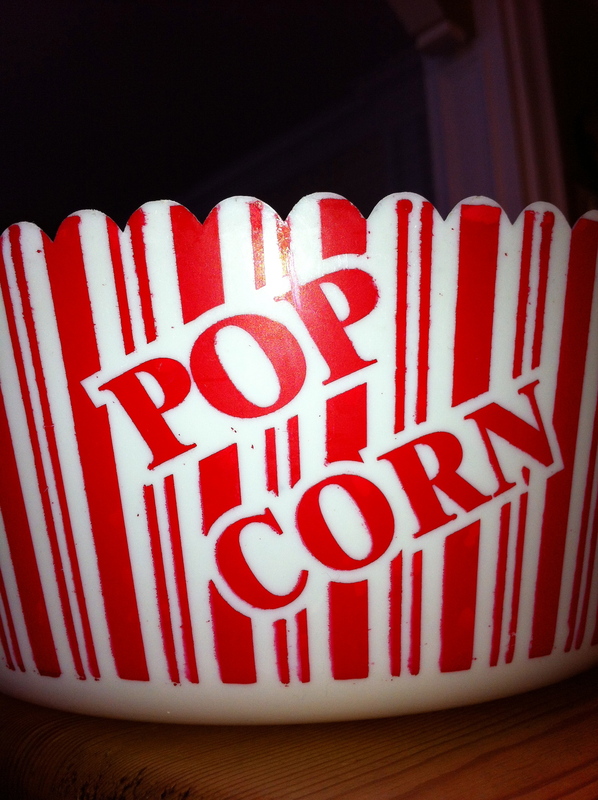 Now go on and click the kettle corn link below and enjoy her wonderful blog! Organic Kettle Popcorn and Wonder Woman | |. Remember: all stevia products have a different sweetness level, so add your stevia brand according to your taste, unless you are using the exact same brand as the recipe’s author. 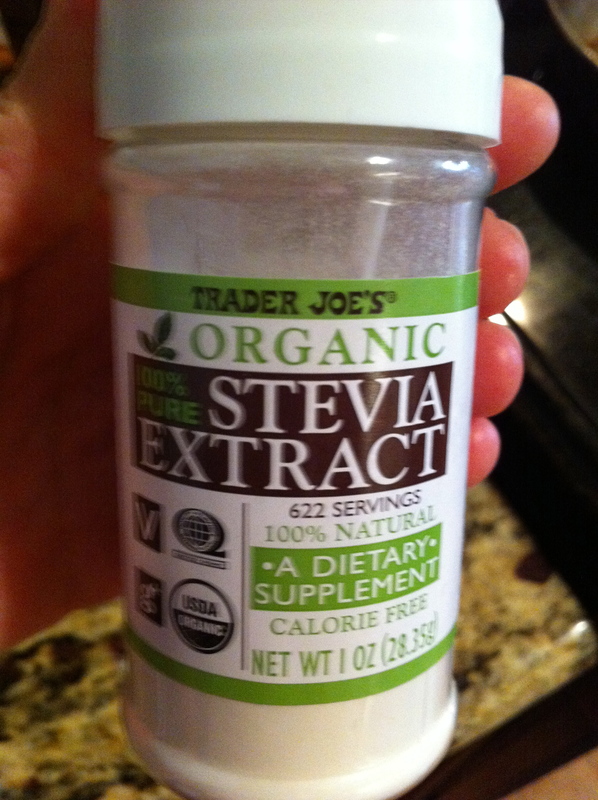 Do not just “blindly” add what the recipe calls for, ever, in any stevia recipe. Every single brand is different. Lastly, if you want this 100% organic, every product you use in making it needs to be organic as well: organic oil, stevia, seeds, salt and butter. PS: yes, I do consider corn a grain, so, for me, it’s a treat. My kids eat it more often than I do. 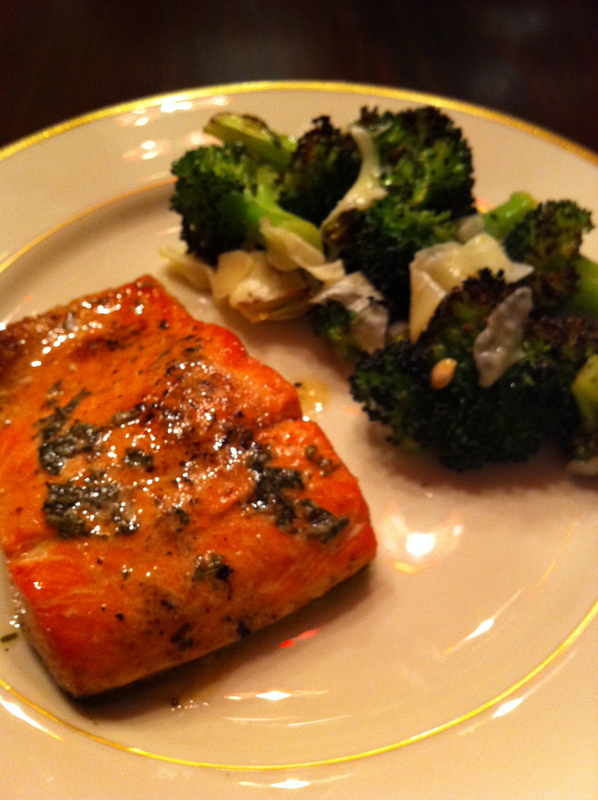 Yes, seriously, my kids beg me to make this broccoli, at least once every week. The original recipe was at amateurgourmet.com (pictures there too), and he adapted it from The Barefoot Contessa. The originals used lemon zest and fresh basil, but I have not tried either of those in this recipe yet. 1 head chopped broccoli or one bag (Trader Joes has a bag of organic broccoli that feeds my family of 4) Here is a link to the benefits of broccoli. 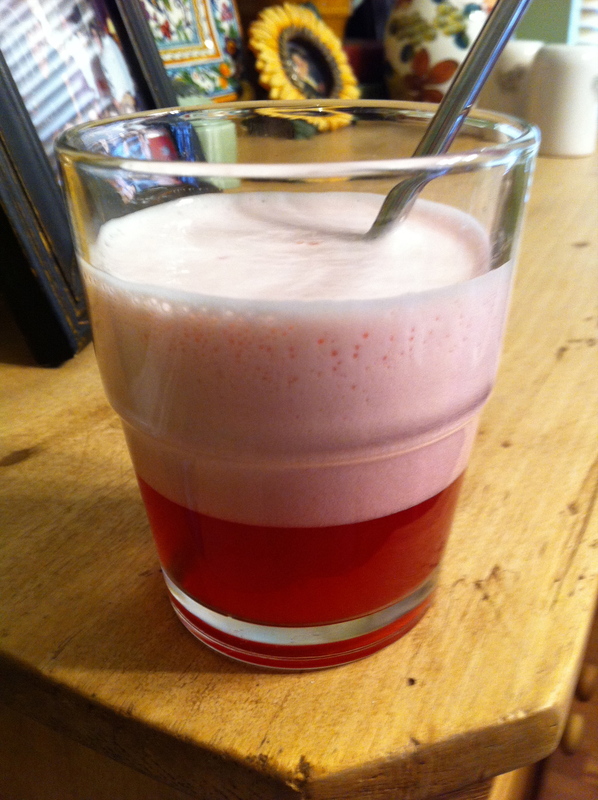 It has lots of Vitamin C! 4 or 5 garlic cloves, whole or sliced (I leave mine whole because my daughter likes to eat them that way) See this link to read why garlic is super duper healthy for you! Use as much as you can handle in this recipe! lemon (juice from about a fourth of one lemon). See my post on lemons if you want to know health benefits. You can certainly use more lemon if you like, but we prefer it light on the lemon taste. 1/3 cup (or as much as you can handle!) grated Parmesan cheese (the good stuff, not the kind you shake out of a green container. bleh.) I use raw milk parmesan from Trader Joes. See this link for a video on what raw milk cheese is and its health benefits. You can also search that site for much more information on raw milk. Bake for 20-25 minutes. Yes, the edges of the broccoli are supposed to get a tad brown and crispy! Remove from oven and immediately squeeze lemon juice over it, then sprinkle cheese on top. Add more oil and s&p to taste. Serve while it’s hot! That’s it! Get ready to have a family who begs for broccoli, and be prepared to make some more soon! If you want to print this without all my commentary, use the Print Friendly button below.